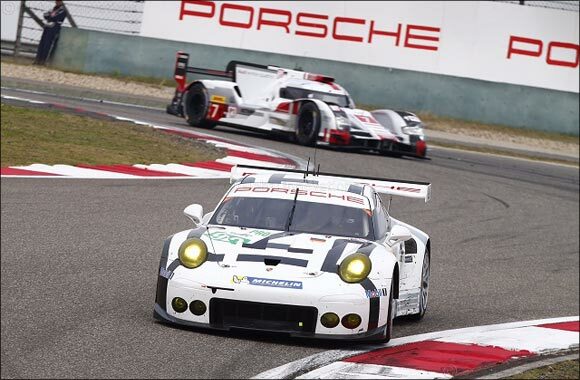 Jeddah, November 21, 2015: Porsche is set to bring its racing heritage to the Middle East, as it takes centre stage at Bahrain International Circuit later this month showcasing its on-track legacy in a variety of global and regional competitions. Organised across the 6 Hours of Bahrain, the climatic conclusion of the FIA World Endurance Championship (WEC), and the opening race weekend of the seventh season of the Porsche GT3 Cup Challenge Middle East, the Fascination Porsche Motorsport programme will showcase first hand, the brand’s on-track performance credentials from November 20th to 21st. With the 919 Hybrid, 911 RSR and 911 GT3 Cup race cars set to feature on track, the Stuttgart-based sports car manufacturer will showcase its latest developments in evolving technology from the race track to road-legal production cars. Porsche’s technology transfer philosophy utilises motorsport as a pre-development platform for testing new technologies under the relentless conditions of racing. From direct fuel injection to Porsche Doppelkupplung (double-clutch transmission), active aerodynamics to ceramic brakes, the list of track-to-road technology continues to grow. At the pinnacle of motorsport and showcasing Porsche’s most pioneering technological advancements will be the Porsche 919 Hybrid competing in the gruelling WEC LMP1 class. Following a memorable one-two victory at the world’s toughest endurance race, the 24 Hours of Le Mans, Porsche leads the manufacturer’s standings in the top category with the Bahrain round representing the climax of a thrilling 2015 season. The 919 Hybrid is the most complex race car ever built by Porsche and exemplifies the brand’s Intelligent Performance philosophy, by successfully delivering maximum output from minimum input. Accelerating from 0-100 km/h within 2 seconds, it has a power system that produces around 1,000 hp. Over 500 hp comes from the two-litre V4 turbo petrol engine, while the e-machine, fed by the two recovery systems, delivers more than 400 hp. In tandem with its entries in the LMP1 category, Porsche will also showcase its performance legacy in the highly competitive LMGTE Pro and Am classes with the 911 RSR. Boasting 470 hp output, a four-litre six-cylinder boxer engine, and rear-wheel drive, the 911 RSR is based on the seventh generation of the iconic 911 sports car and is distinguished by its intelligent lightweight design and refined aerodynamics. The final thrilling factor of the Fascination Porsche Motorsport programme will be the return of the Porsche GT3 Cup Challenge Middle East for its landmark seventh season. A proven pathway for regional drivers to accelerate their careers onto international racing platforms through intense competition in identical cars, the series sees the Porsche 911 GT3 Cup as the star. The grid, featuring a number of past champions and rising home-grown stars, is expected to line up for the seventh instalment. Following the opening round at Bahrain International Circuit, the drivers will compete across five more rounds in Saudi Arabia, Dubai and Abu Dhabi, before returning to Sakhir for the season’s finale. From 20th to 21st November 2015, the Fascination Porsche Motorsport programme will celebrate the conclusion of the World Endurance Championship 2015 season at the 6 Hours of Bahrain as well as the opening round of Season 7 of the Porsche GT3 Cup Challenge Middle East.